The appointment was approved by NJC, headed by the Chief Justice of Nigeria (CJN), Walter Onnoghen, as part of the decisions reached at the 82nd meeting of the council. Retired President of the Court of Appeal, Justice Ayo Isa Salami, has been appointed chairman, Corruption and Financial Crime Cases Trial Monitoring Committee (COTRIMCO). The National Judicial Council (NJC) under the chairmanship of the Chief Justice of Nigeria (CJN), Justice Walter Onnoghen, has established a Corruption and Financial Crimes Cases Trial Monitoring Committee (COTRIMCO) to monitor judges and courts handling corruption and financial crimes cases in the country. The council also appointed a former President of the Court of Appeal, Justice Ayo Salami, as the chairman of the committee. 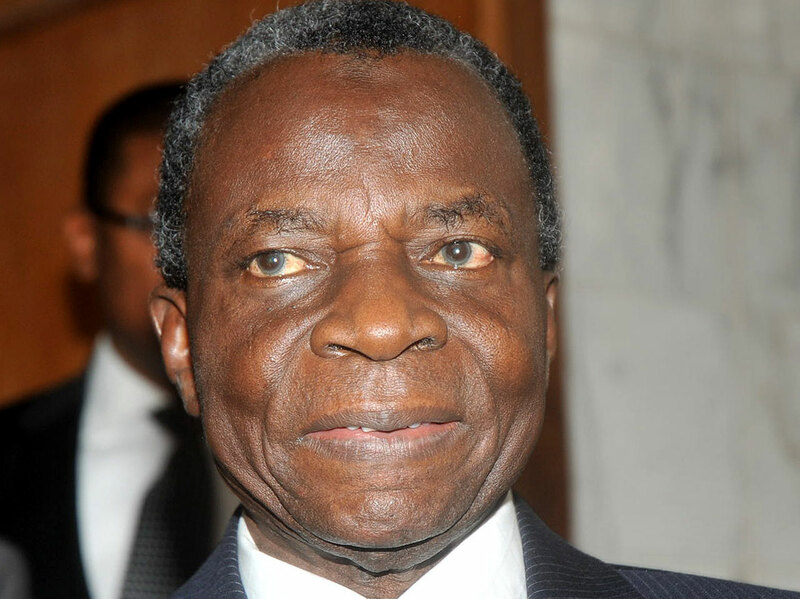 Justice Salami retired under controversial circumstances, following the refusal by former President Goodluck Jonathan to reinstate him after he had been cleared by the NJC over his alleged links to chieftains of the defunct Action Congress of Nigeria (ACN). Prior to his clearance by the NJC, the council had suspended him over allegations that he was involved in telephone conversations with chieftains of ACN during the appeal in the governorship election suit between the former governor of Osun State, Olagunsoye Oyinlola who at the time was a member of the Peoples Democratic Party (PDP), and Rauf Aregbesola, the incumbent governor of the state and then ACN candidate. When the NJC lifted his suspension, Jonathan refused to reinstate him until he attained the retirement age of 70. The establishment of the monitoring committee also comes on the heels of the directive by Justice Onnoghen to the heads of courts to establish special courts in their jurisdictions solely for the purpose of handling corruption and financial crimes trials. A statement issued Wednesday by the NJC Director of Information, Mr. Soji Oye, said the decision to constitute the committee and appoint Justice Salami as its chairman was taken Wednesday at the 82nd meeting of the council held in Abuja. The committee, which has 15 members, will operate from the council’s secretariat in Abuja. According to a statement issued yesterday by the Director of Information, National Judicial Council (NJC), Mr. Soji Oye, the appointment was approved by NJC, headed by the Chief Justice of Nigeria (CJN), Walter Onnoghen, as part of the decisions reached at the 82nd meeting of the council.The 15-man committee, which is expected to operate within the council, also has some judges and senior lawyers as members. They include Chief Judge of Borno State, Justice Kashim Zannah; Chief Judge of Imo State, Justice P.O. Nnadi; Chief Judge of Delta State, Justice Marsahal Umukoro and Chief Judge of Oyo State, Justice M. L. Abimbola.Others are President, Nigerian Bar Association (NBA), Abubakar Mahmoud (SAN); Chief Wole Olanipekun (SAN); Olisa Agbakoba (SAN); Mr. J.B Daudu (SAN); Mr. Augustine Alegeh (SAN) and Dr. Garba Tetengi (SAN). Also appointed as members are representative of NJC, Mrs. R.I Inga; representative of non-governmental organisations, representative of Ministry of Justice as well as the representative of the Institute of Chartered Accountants of Nigeria (ICAN). The committee is to regulate and monitor proceedings at designated courts for financial and economic crimes nationwide; advise the CJN on how to eliminate delay in the trial of alleged corruption cases; give feedback to the council on progress of cases in the designated courts and conduct background checks on judges selected for the designated courts. The committee is also expected to evaluate the performance of the designated courts. The CJN, in his speech at the special session of the Supreme Court to mark the commencement of 2017/2018 Legal Year, emphasised the concerns expressed by members of the public on the very slow speed with which corruption cases were heard or determined by the courts. He consequently directed all heads of courts to compile and forward to the council, comprehensive lists of all corruption and financial crimes cases being handled by the various courts. He also directed them to designate in their various jurisdictions, one or more courts, as special courts solely for the purpose of hearing and speedily determining corruption and financial crimes cases. The Supreme Court and the Court of Appeal were also directed to fix a special date each week for hearing and determining appeals from such cases. The Salami-led committee is expected to drive the NJC’s new policy on anti-corruption war.